This Villa is a new luxurious holiday-house with 4 stars, suitable for 4 to 6 persons. It is located 600 m from the center of Selca with Restaurants, Cafes and Bars, and 1 km from the sea and beach. Villa has an excellent sunny position, large garden and terrace area with beautyful pool. The view to nature and sea is great. All that provides you privacy and a perfect holiday. Villa has 160 sqm of living space, 800 sqm of garden, terraces and parking for a several cars. 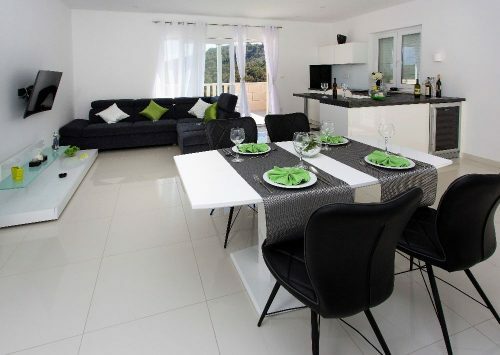 The Villa has two floors that are completely separate, each floor has an entrance, WLAN, Sat-TVs. All rooms are airconditioned. The ground floor is stuffed with a bedroom with king-size-bed, bathroom, spacious living room with fully equipped kitchen and dining area, and direct access to terrace, pool and garden. On the first floor there is also a bedroom with king-size-bed, a bathroom, living room with fully equipped kitchen and dining-area. 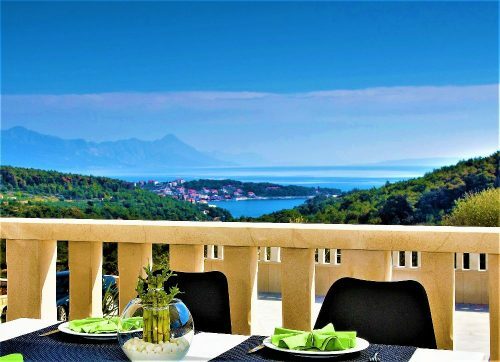 Terrace offers you great view to the sea, Sumartin and the biokovo-mountain. 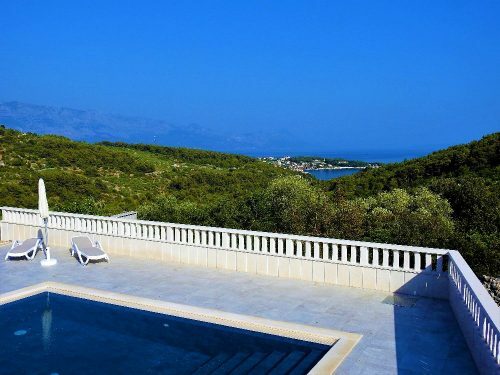 Both terraces are overlooking the sea and the islands Hvar and Peljesac and the mountain Biokovo. Around Villa there is a great yard with swimming pool, barbecue, terrace with sunbeds and umbrellas. 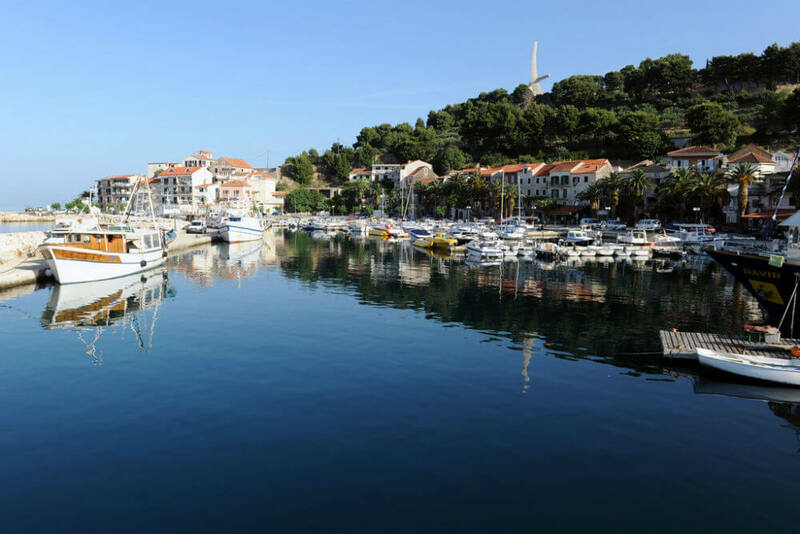 If you decide to spend your holiday on Island Brac, we are looking forward to welcome you soon as our guests!